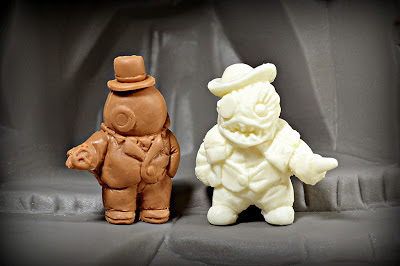 Little Weirdos: Mini figures and other monster toys: Vote for Universe of Violence in the Designer Toy Awards! Vote for Universe of Violence in the Designer Toy Awards! Over the past year I've been really impressed with a lot of the indie toy lines being unleashed into the world. 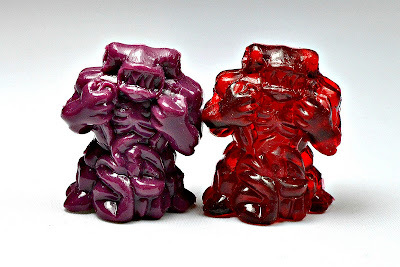 There's so much creativity out there, and it's really exciting that fellow fans of classic mini figure lines like MUSCLE and Monster in My Pocket are keeping awesome new mini figures for sale even if they're rarely seen from mainstream toy companies these days. Probably the line I've been most impressed with is Universe of Violence from IroNilla Productions, a.k.a. Eric Nilla and Jimmy Rommel. 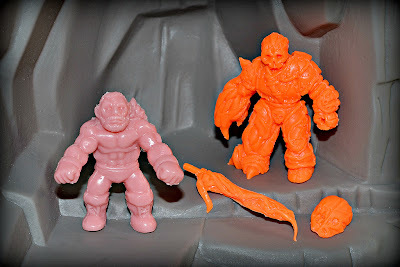 They started the line last year and this year have been tearing it up by releasing a great new sculpt every single month. That's why I was happy to see UoV nominated for "Best Mini Series" in the 2013 Designer Toy Awards! I voted for them as soon as I saw it, and I plan to vote again as many times as possible (you can vote every 24 hours). If you're also a fan of what Jimmy and Eric do, be sure to click here, find Universe of Violence at the bottom of the page, and vote! Then vote again. And again. And keep voting. ALSO, Jimmy has been nominated on his own in a separate category, "Best Break-Through Artist"! 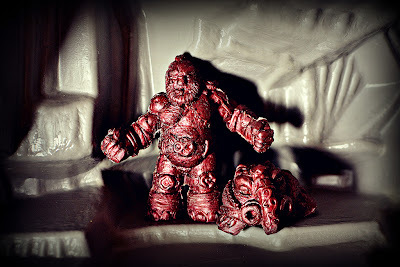 In addition to his part in UoV, Jimmy has created a bunch more cool stuff like Gorewad Monsters, HORDE and the brand new Micro Bastards, all of which you can find more about on his blog. So vote for Ironhaus Productions in that category here!